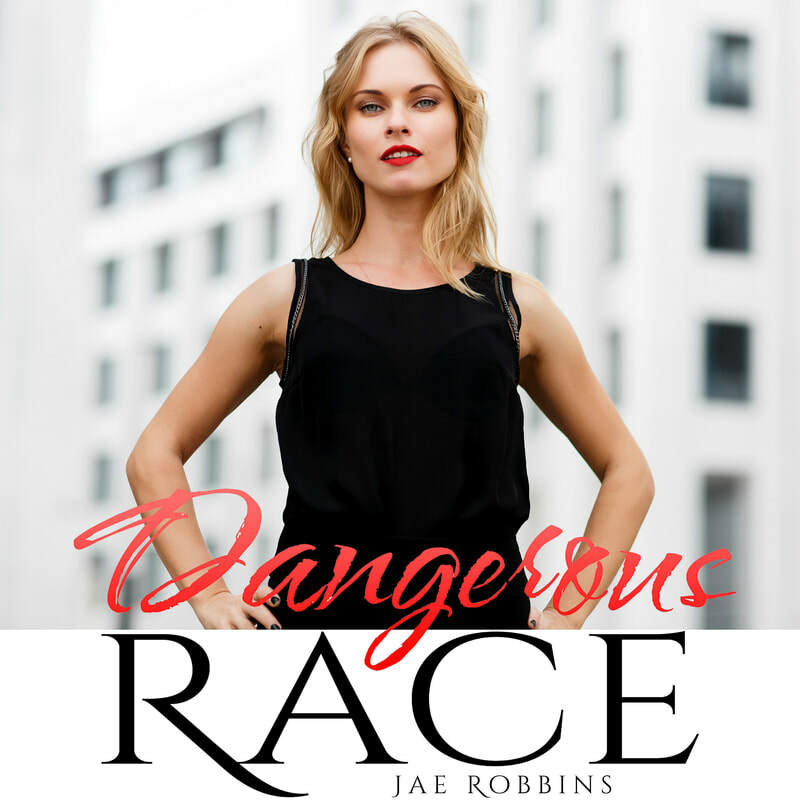 Dangerous Race is Now Available as an Audio Book! Do you love listening to a story? Maybe during your commute, while cooking dinner, or out on a walk? Author's Note: This is a stand-alone HEA story with no cliffhangers. The story contains mature themes and language and is intended for listeners 18 years old and older only. Olivier Bellamy has it all, the looks, the money, the personality. As a talented young doctor, he has the world at his feet, so it seems only natural that he should have a job as special as he is. Taking on the position of private family physician to the billionaire, Kurt Bronson, he counts his lucky stars that he’ll never have to pull another double shift again. But his new job isn’t as perfect as he expected. When an assassination attempt is made on Bronson’s life, Olivier finds himself in the firing line, and in the line of Detective Munro’s inquiry. With a past as deep and mysterious as his eyes, Munro must protect the family. And this also means protecting the young, attractive family doctor. Soon, the two find their lives entwined and neither enjoys it for a second. The cop hates the doctor’s squeaky-clean image while Olivier is far from impressed by Munro’s drinking or the chip on his shoulder. But as danger engulfs Olivier’s life and his only hope is the damaged detective, the pair realize they’re not as different as they first thought. Sparks fly as fast as the bullets until one night in a motel changes everything. One night that will bond them forever. When Frankie lands a job at the esteemed Lantern City Phoenix, she feels like her life is finally on track. She’s taking a break from dating to focus on her career and picking up work at one of the most respected publications in the country is a boost for a young journalist like her. Sure, she’s a little scared of her boss, the infamous Hillary Jacobson, but she knows she can handle her. But when a dangerous story throws her into working close with her alpha-female boss, she finds herself falling for her – and her feelings are reciprocated. Before she knows it, she’s caught up in a steamy, forbidden love affair. AUTHOR’S NOTE: This is a stand-alone HEA story with no cliffhangers! ​ The story contains mature themes and language and is intended for 18+ readers only. This is a stand alone HEA story, so no cliffhangers! ​Jake has had a hard time recently- after finishing up his time as a soldier; he’s moved back home to take care of his ailing father. However, he’s finding life back in his hometown lonely, and his father’s disapproval of his sexuality isn’t helping. But when he takes on the job of training a puppy for police service, he finds his life opening up again, and starts to settle into life outside of service. Then, when his puppy gets injured, he winds up discovering his old high school best friend, Ian, working at the local vet’s office. The two of them reconnect, and Jake finds his old feelings for his friend getting stirred up once more. But with so many years between their friendship and their current circumstances, and Ian’s reputation as a high-school heartbreaker, can the two of them find something fulfilling in life in their old hometown? I love nothing more than my job. As a local celebrity and businesswoman, I’ve worked my way up through the ranks to become the biggest news publisher in the area. Everything’s perfect, except my love life. This town is nothing short of conservative and would never understand me. And my mother? She’d think I was going to hell. I’m a lesbian, and it has to stay a secret. But when local millionaire and scoundrel Bret Goldwin runs for governor, I know that I have to run against him. I’m the only person who can take him down. Except he wants to play dirty. Exposing my secret is the only way he’ll win. I’ve spent years building up the biggest cybersecurity firm in the region. I have the life I’ve always dreamed of. If only my love life weren’t in tatters. When I’m brought in to erase all traces of a secret of a potential governor, I have no idea it’s going to be someone I knew a long time ago, someone I loved more than anything. And she’s more beautiful than ever. The spark’s still there, and our love for each other is undeniable. But she’s intent on keeping her secret. Will Goldwin expose it to the town and ruin her reputation? Or can we take him down? and is intended for 18+ readers only. ​Jake has had a hard time recently- after finishing up his time as a soldier; he’s moved back home to take care of his ailing father. However, he’s finding life back in his hometown lonely, and his father’s disapproval of his sexuality isn’t helping. But when he takes on the job of training a puppy for police service, he finds his life opening up again, and starts to settle into life outside of service. Then, when his puppy gets injured, he winds up discovering his old high school best friend, Ian, working at the local vet’s office. ​When Nathan has to go back to his hometown to help his brother Frank through a divorce, the only thing he’s thinking about is getting in and getting out, back to his real life in the city, where he’s a well-respected pro football player with cash to spare and women hanging on his every word. But when he runs into Art, his best friend from high school, he finds himself wondering if he can stay a little longer. A snowstorm grants his wish, stranding him for an extra week. Art has been stuck in his hometown for the last ten years taking care his sick mother, and is happy to have a chance to reconnect with his old friend. But over the course of a few tumultuous days, they both find something in each other that they thought they had lost years ago – and Nathan’s life changes forever. NOTE: This is a stand-alone HEA story, so no cliffhangers! Story contains mature themes and language and is intended for 18+ readers only. Lisa Hills has been on the police force for years. Now devastated after her partner Taylor has been shot and killed, she’s off the force on leave until she has therapy to heal the trauma, by orders of the Commissioner. Dr. Everly Thomas is new in town and ready to take on her first case. On her first night in town she visits a local watering hole to get settled in. There she has an unforgettable sizzling hot encounter with one of the regulars. But Dr. Thomas doesn’t know she’s exchanged a steaming hot night with a woman wrapped up in a mysterious investigation for the potential murder of a local cop. It’s a chance encounter that will change both of their lives. NOTE: This is a stand- alone HEA story, so no cliffhangers! Story contains mature themes and language and is intended for 18+ readers only. All Cal has known for the last ten years has been his career. He’s a professor, and a good one at that- but his success has come at the cost of his personal life. While at the wedding of one of his colleagues, he realizes how lonely he is, and vows to do something about it. Ross has just returned from years of globetrotting to settle down and finally get that history degree he always wanted. But when he walks into class and sees his smoking hot professor, he finds himself distracted- and the feeling is more than mutual. But university rules threaten to destroy their relationship, along with Cal’s hard-earned career. Neither of them has ever felt chemistry like it before, but can they find a way around regulations? And, more importantly, what happens if they do? This is a stand alone HEA story with no cliff-hangers! This is a stand-alone HEA story with no cliffhangers! The story contains mature themes and language and is intended for 18+ readers only. The public thinks they know about actress Rena Dyer. Starting work on a new, prestigious movie, Rena knows it’s more important than ever that she keep her secret to herself – the notorious Alina Reyes, executive producer extraordinaire, hates gossip on any of her sets and Rena is too nervous around her to argue. But when Rena starts receiving flowers to her trailer on set, she realizes that someone on the production is hiding feelings for her.